Home Godzilla Monster Party Guest Podcast at SDCC! 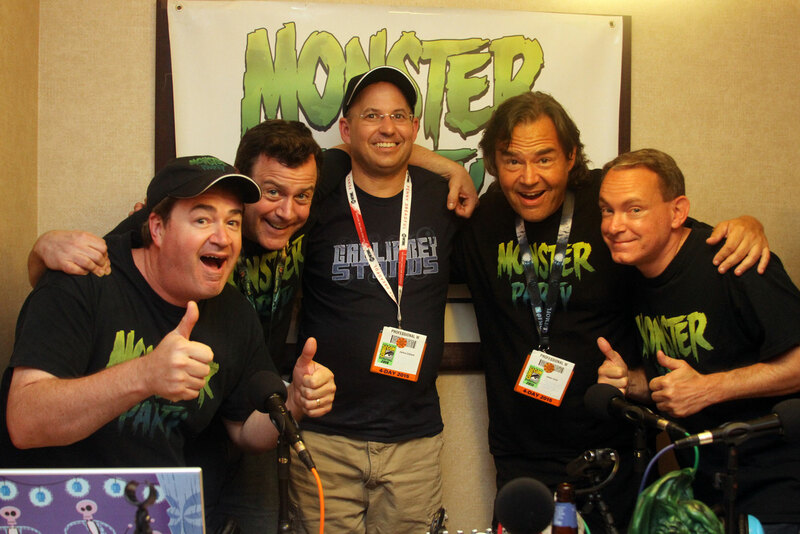 Monster Party Guest Podcast at SDCC! I am a huge fan of Monster Party. I have known Matt Weinhold since my mother owned Rooster T. Feathers back in the mid-1990s. We caught up at San Diego Comic Con and I was able to join Matt, Larry Strothe, James Gonis, and Shawn Sheridan, for their special Monster Party Comic Con podcast. I hope you enjoy the podcast. It was a blast to record and I wear my Monster Party hat with pride. Previous articleCan Cassie Lang Have a Giant Ant as an Exotic Pet? We’re Going to WonderCon 2019!